A few decades ago, good educational institutions were clustered in only two urban centers – Manila in Northern Philippines and Cebu in Central Philippines. Economic and cultural activities, likewise, followed the same patterns. Thus, to encourage growth and development in other areas, the government embarked on a “dispersal” program. A wide ranging incentive was offered to lure and spur industries to relocate and/ or establish new ones on other parts of the country. 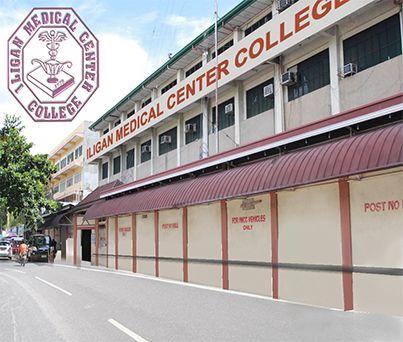 The College is located in Iligan City in the island of Mindanao which is in the Southern part of the Philippine Archipelago. It is approximately 795 kilometers from the urban center of Manila which is the seat of government and the hub of the country’s economic activities. From Manila, it can be reached by an hour and fifteen minutes plane ride via Cagayan de Oro airport and is thirty six hours by boat. Transport is available daily all year round. Iligan City has a land area of 81.337 square miles and has 44 Barangays. As of 2005, the city has an estimated population of 298,000. The school complex is located along the Rotonda of San Miguel Village, Pala-o, Iligan City which is just a few hundred meters away from City Hall. It is ideally located just outside the downtown area which conveniently shields it from the hustling noise attendant to the City’s usual economic activities, yet near enough to make accessibility a minor concern. Public transport is readily available so with the other amenities like student-friendly eateries and lodging houses. The school complex has six (6) major structures with a total floor area of approximately 13,570 square meters.